Many science fiction and fantasy fans out there decry that there is a conspiracy amongst the networks against genre shows. They believe that the broadcast networks and many of the cable channels as well want sci fi shows to fail because they don’t like them and want to use that as a justification not to produce them anymore. And fans believe that the networks intentionally handicap genre shows with bad scheduling, poor promotion, and a lack of commitment. Now the biggest flaw to this argument is the fact that the networks are businesses trying to make a profit on their products and it just makes no sense that they would sink money in a property—which totals to millions of dollars for a television series—while intentionally planning for it to fail. That would represent an incredibly bad decision business-wise and would surely lead the networks eventually to shut their doors. So logically, in a highly competitive, dog-eat-dog environment, it makes absolutely no sense that the networks would sink tons of money into a sci fi/fantasy show while all the while planning to undermine it and assure that it fails. Right? But then you have the case of ABC’s Zero Hour . . .
Let’s back up a bit to last Fall when ABC debuted their twenty-minutes-in-the-future, “what if?” war drama Last Resort in the 8 PM EST Thursday night timeslot. First of all, that’s a highly competitive hour with CBS basically owning it with the top-rated show currently on television—The Big Bang Theory—leading the hour and NBC giving some competition with its Thursday comedy shows (though those faltered this season) and The CW airing its top-rated show Vampire Diaries there as well (then at mid-season, FOX brings in American Idol). Plus, it’s a younger-skewing audience that typically tunes in during the 8 PM EST timeslot all nights of the week. So when the arc-heavy, more mature drama of Last Resort debuted in that hour last Fall, the odds were heavily against it and it quickly sunk in the ratings to the point that it was barely competing with fifth place CW in the hour. And even though Last Resort received the thumbs up from many critics and developed a bit of a following, ABC never tried to reschedule it to a better timeslot where it had more of a chance of finding an audience, deciding instead to just cancel it. Of course, Zero Hour had plenty of other issues that would likely have sunk it anyway. The truth is that it was a mess of a series with a convoluted story arc where they piled on one cliché after the next (Nazis, a hidden map, an ancient secret society, an impending apocalypse, and that was just the first episode). In addition, Anthony Edwards’ milquetoasty Hank Galliston just didn’t seem like a strong enough lead character to carry viewers through the show’s byzantine storylines. And perhaps ABC execs saw that the show had gone awry and just lost confidence in it (but why did they greenlight it in the first place, because the problems start with the first ep?). Still, an inauspicious beginning does not necessarily mean that a show can’t correct course at some point. Just go back and watch the first season of Star Trek: The Next Generation and tell me how many worthwhile episodes beyond “Encounter at Farpoint” it delivered in its first year. Zero Hour definitely had its problems, but it showed some promise as well and could have worked its way into a decent series. And considering that they had already sunk the money into the first thirteen episodes, they could have at least given it a better chance of succeeding than they did. But that’s not the way networks role. 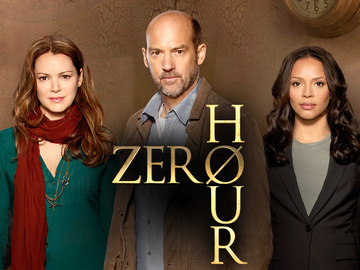 Just like NBC did with Do No Harm (more on that one at this link), ABC yanked Zero Hour from the schedule after only a few episodes had aired (three to be exact). They may eventually air the rest as a Summer burn-off, but the show has been officially cancelled and has no chance of continuing beyond its initial order of episodes (and no, I don’t see much of a chance of a Kickstarter campaign helping this one). I don’t believe that this proves any sort of conspiracy, just that networks are too driven by the overnight ratings and don’t see the bigger picture, especially where genre shows are concerned. 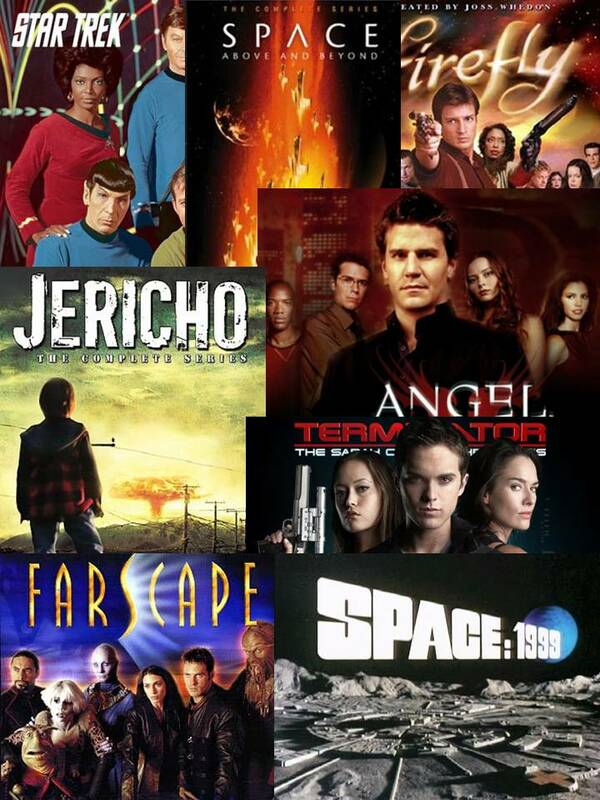 Plenty of other sci fi entries started with low ratings or never managed to make much in the way of waves with the Nielsens but still went on to become enduring and profitable franchises (a few names come to mind like The Twilight Zone, Star Trek: The Original Series, Babylon 5, and The X-Files). 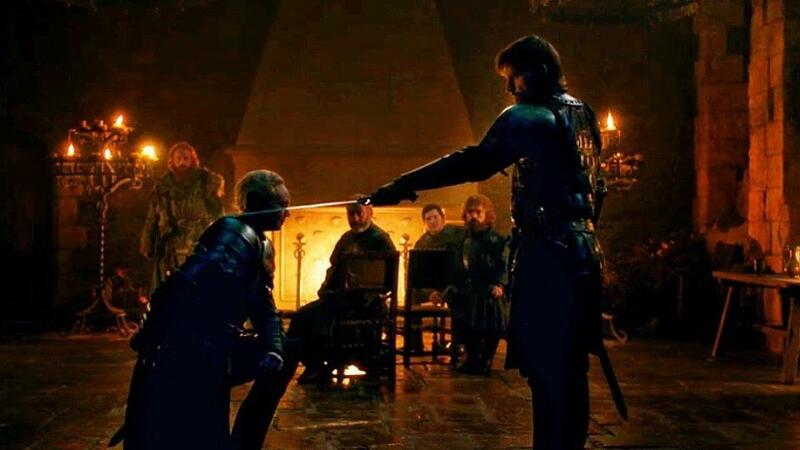 But if the networks axe the shows before they even have a chance (after stacking the deck against them in the first place) how many franchises with potential have the missed out on because of knee-jerk reactions? Oh, and back to that conspiracy thing again for a moment: I tried to debunk that above by saying that if the networks continued to undermine their own programming they would end up putting themselves out of business, right? Well, the fact is that the ratings for the broadcast networks continue to shrink notably each year with several of them facing potential bankruptcy or buyout if they don’t turn things around soon. But no, there’s no conspiracy against science fiction and fantasy shows. Which is exactly what you would expect me to say . . .